Trips are normally scheduled on Fridays about 9 times a year to local destinations, typically within an hour’s drive of Campbell, CA. These trips usually start in the morning and can last from 3 to 6 hours depending on the location. •	Guest Lectures: At most meetings a skilled amateur or professional photographer from outside the club is invited to speak to the group for an hour-long program. •	showcasing a member’s own photographic work on a specific topic or destination. •	Photo Sharing: Members share photographs (both print and digital media) of the past field trip (or other places recently visited by members). These photographs are not judged but constructive comments are welcome. 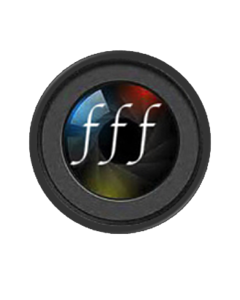 •	Monthly Themes: Monthly themes are proposed to the membership and the resulting images are presented at the monthly meeting and posted on the FFF website. •	Field Trip Planning: The FFF coordinators lead a discussion of the photographic expectations of upcoming field trip and the logistics of the trip. •	Announcements: Members share items on upcoming exhibits, workshops, events of photographic interest, etc.